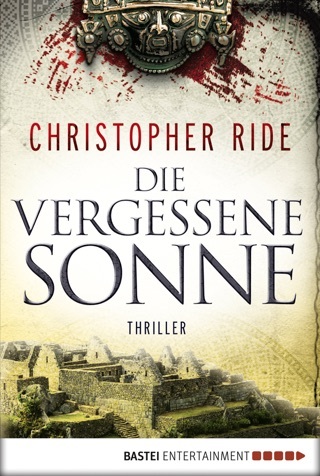 An action-packed time-travel thriller from the author of the bestselling The Schumann Frequency. In 1860 a young man appears inside the walls of the Forbidden City of Peking. He has the most striking sapphire-blue eyes, and - more importantly - he appears to know every aspect of the future. Randall Chen is a time-traveller who, with the help of his fellow Overseer Wilson Dowling, has been sent back on a mission to protect the greatest treasure in Asia. But even with Randall's exceptional foresight he will underestimate Empress Ci Xi, a calculating Manchurian beauty with an insatiable lust for power. Using her considerable intellect and charm to draw in the mysterious blue-eye, she will turn his powers to her advantage. And the consequences will echo throughout the ages. Loved the fabulous mix of historical fact and fiction again. Brilliant story. Colorful characters and fast paced. An exciting and easy read from start to finish. About to read the next and can't wait! 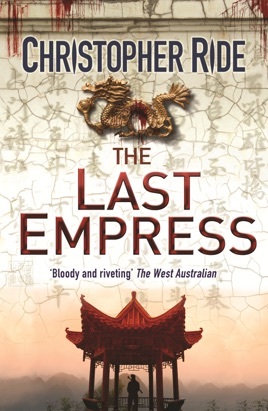 This is a massive work of fiction set in a very turbulent time in Chinese history. There is a huge amount of research which has gone into this novel and the reader becomes embedded in a fantasy world enmeshed with truth but it becomes very difficult to tell fact from fiction - well done! A cracking good read! Left me wanting more. So much so that I've pre-ordered his next book The Inca Curse. Hurry up Ride, your readers await your next installment! !